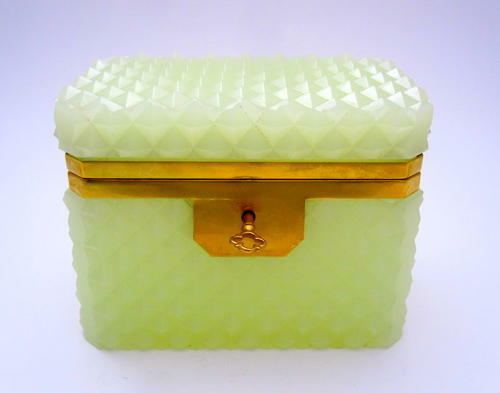 Antique Lemon Opaline Glass 'Diamond Cut ' Rectangular Casket Box with Smooth Dore Bronze Mounts and Original Key. Lemon Diamond Cut 'Textured' Opaline. CONDITION: Good Condition. No Chips or Cracks. Opens and Closes Properly.